Then I get/display '§' (with shift+key -> '±' ) instead of what expected. How can I set it to work properly? Also after Googling I found this site but this did not help me. 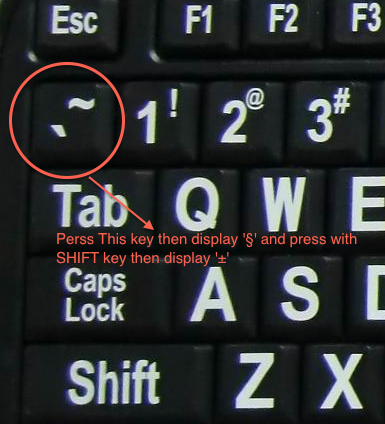 Is there a way to make the Function keys act as standard keys with a Logitech K811 keyboard? How can I find conflicting keyboard shortcuts? How to get to the help input field on OS X in German?